Dating back to 1928, Cole Haan is an international lifestyle brand with an inclination in footwear and accessories. The company was founded by Trafton Cole and Eddie Haan in Chicago, Illinois, United States. Cole Haan is currently headquartered in Green Land, New Hampshire with a designer center in New York City. Initially, the company began as a men’s only footwear brand but later diversified to include women’s and Children’s products. With a reputation for quality, style, craftsmanship and service, Cole Haan rapidly grew to become a leading label in the U.S footwear industry. In 1975, the company was sold to a number of partners including George Denny who maintained the spirit of its founders. In 1982, Cole Haan launched a retail division with 42 stores worldwide and by 1996 the company was grossing around $70 million in annual revenues. In a deal worth $80 million, Cole Haan was acquired in 1988 by Nike, a sports giant based in U.S.A. In 2012, Nike sold it to Apax Partners Worldwide in a deal worth $570 million. 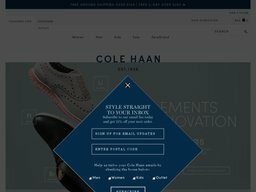 At Colehaan.com, you can buy your desired Cole Haan brand shoes, clothing, bags, handbags and accessories. Under each category is a variety of products classified into trends, occasion, style and enclave. 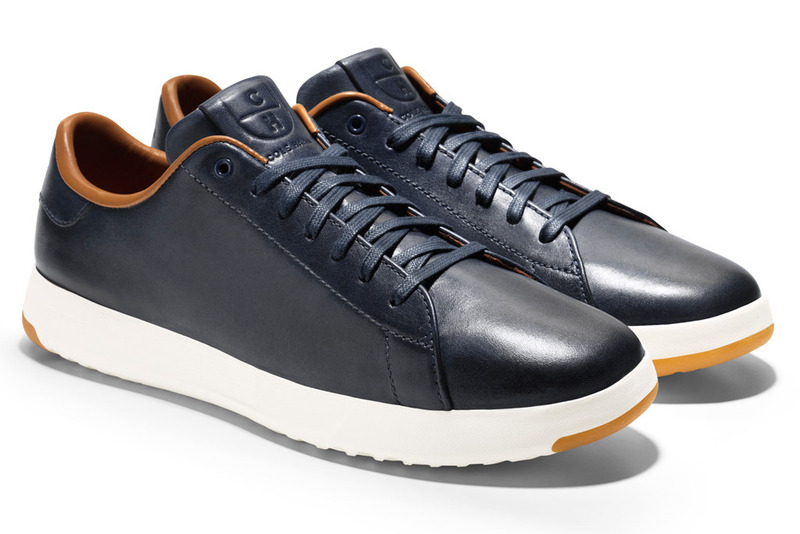 At Cole Haan, prices range between $12 and $350, depending on the product type and category. At Cole Haan, payments can be made through Visa, MasterCard, American Express and PayPal. Cole Haan primarily caters to US customers, but will accept international orders through the MyUS forwarding address service. In the US customers qualify for free 2 Day shipping on all orders over the value of $175, and below this threshold ground shipping costs a flat rate of $5. Deliveries take 3 to 8 business days to arrive. You can also pay extra for faster services, such as UPS 2 Day, which costs $15, and UPS Overnight which costs $25. APO and FPO addresses are charged a small flat rate of $5, however it can take up to 45 days for deliveries to arrive. Standard shipping to Canada is $15.95, while 2 Day is $20.95. Cole Haan accepts returns within 30 days of the original purchasing date provided that the returned item is in its original state. For online shoppers, shipping charges and any shipping taxes are non refundable unless you received the order in a damaged or defective condition. All orders ship with the required return form and prepaid shipping label, though you can also choose your own shipping method. @themikemuu So glad you like them, Mike!